The Accreditation Commission for Education in Nursing recently granted initial accreditation to Middle Georgia State University's Master of Science in Nursing Adult Gerontology Acute Care Nurse Practitioner program. As is standard practice, Middle Georgia State was able to launch the master's degree while working toward commission accreditation. 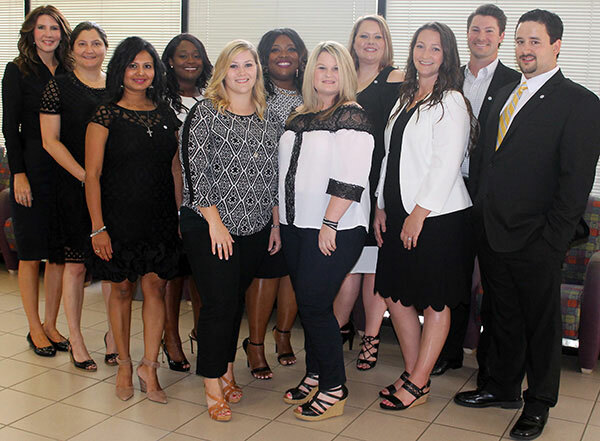 Graduates of MGA's program, which began in January 2016, can now take an exam to become board certified by the American Nurse Credentialing Center. "This is an outstanding achievement for Middle Georgia State's Department of Nursing and the Graduate Studies program," said Dr. Lawanda Greene, coordinator of the master's degree in Nursing. "These advanced practice nurses who complete our program will be able to provide care to a broad population base - young adults to seniors - in a variety of settings." Some 26 Registered Nurses are currently enrolled in the master's degree program. Eleven students who completed the requirements this summer make up the program's charter graduating class. All coursework in the program is online, but to be eligible for certification each student must accumulate at least 630 clinical practice hours while mentored by NPs or physicians. A Nurse Practitioner (NP) is an advanced practice RN. Middle Georgia State’s graduate program is designed to produce NPs with specialization in the care of specific high-risk populations. Adult/gerontology acute care Nurse Practitioners work in acute care settings such as hospitals, rehabilitation facilities, nursing homes, physician specialty practices, trauma units, burn units and community healthcare settings. Information about the program is at www.mga.edu/health-sciences/graduate-programs, or email Dr. Lawanda Greene at lawanda.greene@mga.edu. Photo: These RNs are the first to complete MGA's Nursing master's program.